As I'm sure you already know I've been a fan of Thirty-One for quite a long time. I love that it's a brand with style and a wide variety of products that I can use both at home and on the go. Speaking of style if you haven't checked out their Fashion Games purse yet I have to say you're missing out. It's super stylish and perfect for toting around all the necessities us ladies seem to need these days on the go. I love that it is super roomy inside so I can put all my stuff inside and not worry about stuffing it. Add on one of their Triple Slit Pockets that snaps inside and you even have plenty of places for cards, keys, your phone, and all those little things you don't want dropped down in the bottom. Sometimes I don't want to take my entire purse with me when I'm just running a quick errand or over to my mom's house close to ours. But as you know you still need your ID and of course cash just to be safe. So pairing up the Fashion Games purse with the Double Up Crossbody is the perfect way to solve that problem. It has a removable strap so you can use it like a wallet in your purse or with the strap attached like a purse by itself. No having to switch from one purse to another for a quick trip out. Remember the Double Duty Caddy from my previous post? (you can still read it here) I talked about various ways of using it for taking crafts on the go or use at home. Well here's one of the companion pieces (in the same pattern), the Essential Storage Tote. Let me tell you this photo doesn't do it any justice, it's so much bigger than it looks. The actual overall size is 14.5"H X 12"L X 9"D. It's so big I can fill it with all the stuff I need to help teach a craft at my daughter's Girl Scouts meeting with room to drop my Double Duty Caddy full of crafting supplies right in on top! The handles are perfect for tossing the bag right up on my shoulder too so it leaves me hands free going in from the car. And when I'm not using it to tote around crafts it folds down pretty flat so I can just tuck it away until I need it again....well that's if I actually put away everything in it that is. 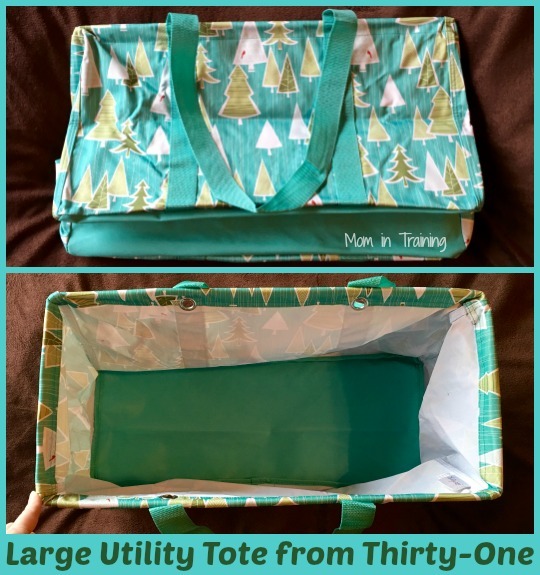 And last but definitely not least is one of the signature (in my opinion) products from Thirty-One, the Large Utility Tote. Right now this tote is available in a whopping 20 different prints (they change some of the prints with each new catalog, and sometimes even have special limited time only patterns). I had gotten a one of those special prints that was only available in the fourth quarter last year for the holidays and have to say I'm still loving it. It's not one that screams Christmas so it's something I can use all winter long. 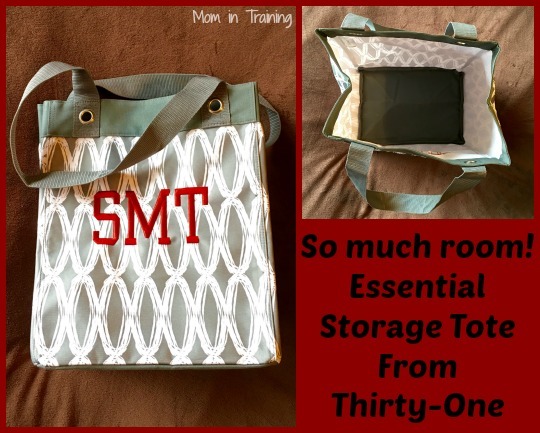 This has always been one of my favorite Thirty-One products, and I will be honest probably the one I use the most. (I'm not going to tell you how many of them I have though...) Let's just say I have a few of them here and there and leave it at that. I actually have one of them with a Top-a-Tote Lid that I use for my Circuit machine and all my stuff I use with it. The tote is the perfect size for my machine to sit down into and leaves me enough space to add in my extras. Then it's all ready to go when I am heading to an all day scrapbooking event to take it with me. I just grab the tote by the handles (so to speak) and I'm ready to go. Plus while it's not being used at home it stays dust free with the lid on the tote. 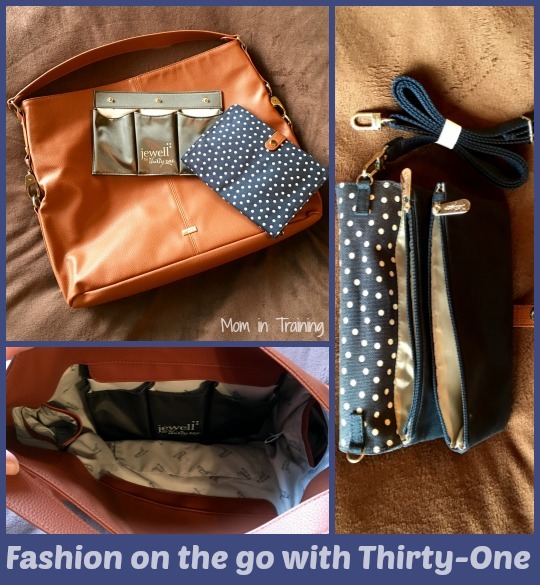 If you haven't checked out Thirty-One in a while I encourage you to do so. Their spring/summer catalog just came out the first of February and it has some really hot new prints and products I know I'm dying to get my hands on! You can find these and so many more great products for at home and on the go at the Thirty-One website. These are very nice bags. Love the patterns. I won the large tote last fall and it was perfect for taking food to relatives at Thanksgiving! I like the pattern of that Storage Tote. I've held a couple of Thirty-One parties in the past. Wow that does look roomy. I would love that. The Storage Tote & Large Utility Tote is cute! I also love Thirty one. Their services are really awesome.